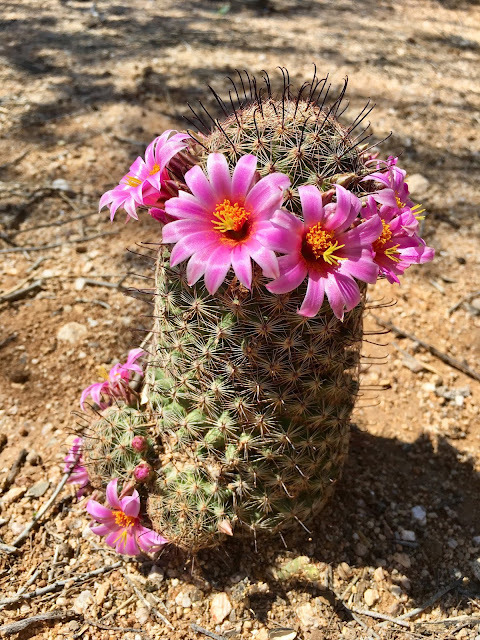 I've posted about these little cacti last year and I'm lucky enough to have caught them blooming again. I never know when it's going to happen - I don't keep track of nature events like this - so it always surprises me to see the bright pink when I open the curtains in my living room. Both the colors and the heat of summer are upon us. 2009: So, What Brings You To My Neck Of The Blogosphere?